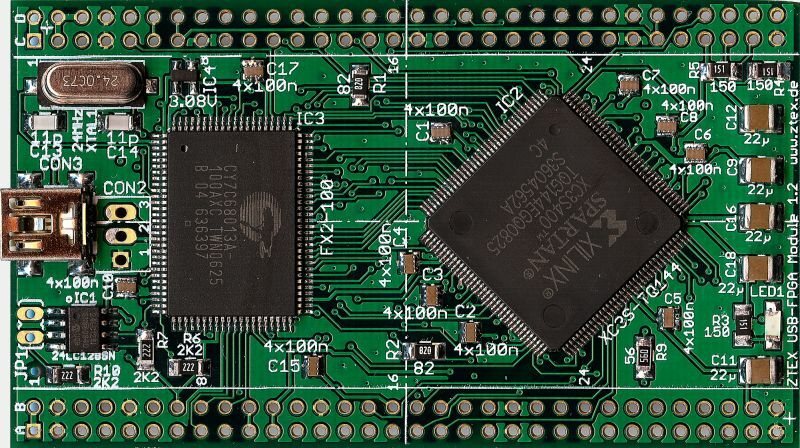 The ZTEX USB-FPGA-Module is intended for prototyping or small series development. In combination with an extensible Experimental Board it can be used as a development or evaluation board. 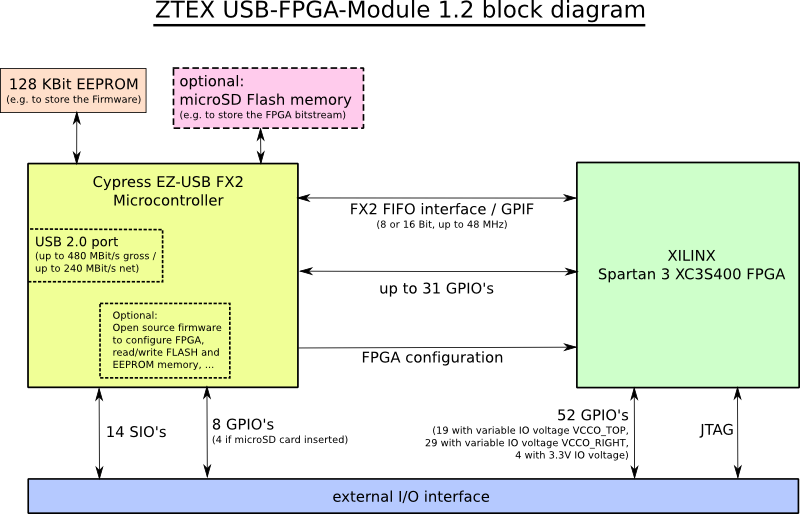 The ZTEX USB-FPGA-Module bases on a Xilinx Spartan-3 XC3S400 FPGA and a high speed Cypress CY7C68013A/14A EZ-USB-Microcontroller. 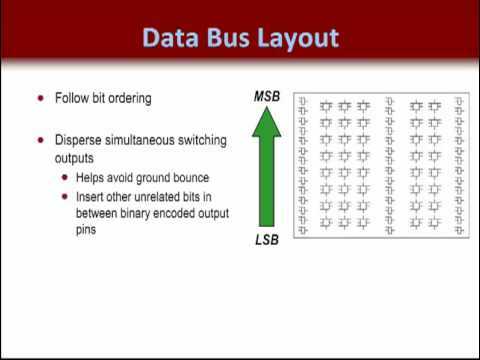 Rapid development can be achieved using the Open Source Firmware Kit.